If you are planning on moving to Vietnam, or if you recently relocated, it is critical to familiarize yourself with the tax requirements to which you are subject as a citizen living abroad. Compliance failures, even of the unintentional variety, can subject you to costly civil penalties. Even if you are confident you are in complete compliance with IRS reporting requirements, you may be missing opportunities to take advantage of credits and deductions, such as the foreign tax credit. Whether you owe back taxes, have questions about the credits and deductions you may claim, are being audited by the IRS, or need assistance with other tax matters, Ted Kleinman CPA is here to provide taxpayers with nuanced guidance and professional representation. With over 30 years of experience assisting clients throughout Vietnam and around the world, Ted is prepared to help you handle any tax matter, no matter how complex. To set up a free and private consultation with Ted, call US Tax Help at (541) 923-0903 today. Does the IRS Require Citizens Abroad in Vietnam to File an Income Tax Return? Unlike most countries, the United States requires citizens abroad to file an income tax return (Form 1040). 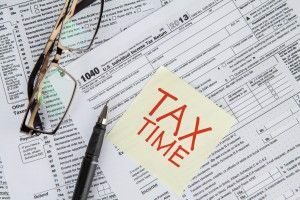 The deadline to file a tax return is normally April 15, but if you were or will be residing in Vietnam on that date, you qualify for an automatic two-month extension which pushes the deadline back to June 15. If you are unable to file your return by June 15, you may further extend the deadline to October 15 by completing and submitting Form 4868 (Application for Automatic Extension of Time to File US Individual Income Tax Return). Failure to Pay – There is a 0.5% penalty for each full or partial month your taxes went unpaid after the due date. This penalty is capped at 25% of the unpaid tax amount. Failure to File – There is a 5% penalty for each full or partial month your tax return went un-filed after the due date. This penalty is also capped at 25% of the unpaid tax amount. As one can infer from these penalties, failures to file are more serious than failures to pay. If you did not file a tax return in previous years, or failed to pay taxes by the due date, you should talk to a CPA as soon as possible about bringing yourself back into compliance. The longer you wait to address the problem, the fewer paths toward resolution will remain open to you. Do I Have to File an FBAR? What Are the Penalties if I Don’t? Over the past few decades, Vietnam and the United States have made huge strides to mend relations and cooperate with one another on international affairs. As a result, Vietnam has become an increasingly popular destination for Americans from all walks of life, many of whom settle around major urban centers like Ho Chi Minh City, Hanoi, and Da Nang. However, there’s also been another consequence of this increased cooperation: more and more information about taxpayers being shared between the Vietnamese and US governments. The IRS is, with increasing frequency, cracking down on businesses and individuals who fail to disclose their income and assets to the US government. If you have income or assets in Vietnam, you may be subject to mandatory disclosure laws. More specifically, you are required to file an FBAR (Report of Foreign Bank and Financial Accounts) if you have signature authority over, or financial interest in, a Vietnamese bank account or financial account whose value exceeded $10,000 at any point in the reporting year. Like failing to file a tax return, failing to file an FBAR also carries considerable penalties. Unintentional failures to file can result in penalties of $10,000 per violation, while “willful” failures are subject to penalties up to $100,000 per violation or 50% of the account balance – whichever figure is greater. 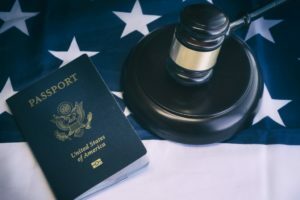 Willful failures can also lead to criminal prosecution, which may result in criminal fines up to $200,000, up to five years of incarceration, and a permanent criminal record. 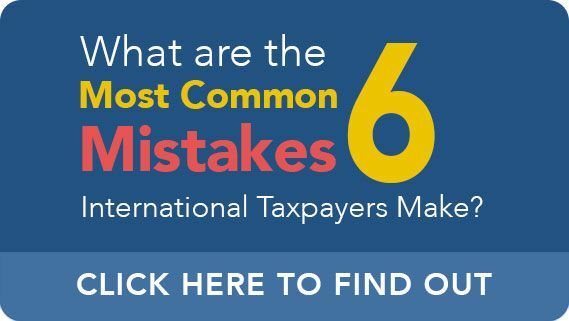 Tax rules for expatriates can be incredibly complex, and even a minor mistake or omission can result in the imposition of hefty penalties. If you’re an American expatriate living in Vietnam, you should consult with an experienced CPA regarding your tax liabilities to make sure that your best financial interests are protected. To arrange a free, completely confidential consultation with CPA Ted Kleinman, call US Tax Help at (541) 923-0903.